Yuri’s Night, the World Space Party, today announced that NASA Ames Research Center Director S. Pete Worden is the 2012 recipient of the Spirit of Yuri’s Night Award. The Spirit of Yuri’s Night Award, chosen each year by the Yuri’s Night Board of Directors, recognizes “a person or persons that embody the Yuri’s Night mission of using space and art to contribute to the future of humanity, both in space and on Earth.” The Spirit of Yuri’s Night Award will be presented to Dr. Worden at the NewSpace 2012 Awards Gala, to be held at the Hyatt Regency Santa Clara on July 28, 2012. During Pete Worden’s time as Center Director, NASA Ames was host to some of the largest events in the history of Yuri’s Night. Over 12,000 space fans attended Yuri’s Night Bay Area 2010 at NASA Ames’ Moffett Field, and YNBA parties featured presentations and performances by figures as diverse as Will Wright, The Black Keys, and Tesla Motors. Before joining NASA, Pete Worden served for 29 years in the United States Air Force; his last position before retiring in 2004 with the rank of brigadier general was Director of Development and Transformation at the Space and Missile Systems Center, Air Force Space Command, Los Angeles Air Force Base, CA. 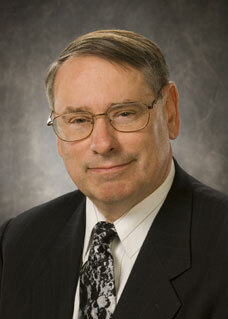 Dr. Worden also served as a Research Professor at the University of Arizona and as a consultant for DARPA. In 2010, Worden received the Arthur C. Clarke Foundation’s Innovator’s Award for his leadership in space exploration. The 2012 Spirit of Yuri’s Night Award is a one-of-a-kind design of aerogel, a superlight material used in several astronautical capacities, overlaid on the Yuri’s Night logo. Yuri’s Night wishes to thank Aerogel Technologies (http://www.aerogeltechnologies.com/) for the design and sponsorship of the 2012 award. Previous recipients of the Spirit of Yuri’s Night Award include Richard Garriott, private space adventurer and game developer, and Ron Garan, NASA astronaut and founder of Fragile Oasis. The Spirit of Yuri’s Night Award ceremony will take place at the Awards Gala of the Space Frontier Foundation’s NewSpace conference, to be held July 26-28 in Santa Clara, California. The NewSpace 2012 Awards Gala, one of the foremost awards ceremonies in space advocacy and entrepreneurial space, will also recognize the NASA Kepler mission with the “Vision To Reality Award” and the TEDx conference series with “Best Presentation of Space.” Yuri’s Night Assistant Director Brice Russ will be presenting the Spirit of Yuri’s Night Award to Dr. Worden at the Gala. For more information about the Gala and NewSpace 2012, including broadcast details and conference registration, please visit http://newspace.spacefrontier.org/. Yuri’s Night is a global non-profit organization dedicated to hosting celebrations of humanity’s past, present and future in space each April 12 in commemoration of Yuri Gagarin’s first manned space flight and the inaugural launch of the Space Shuttle. In 2012, Yuri’s Night celebrated 51 years of human spaceflight with 236 events in 51 countries on all seven continents, including Los Angeles, Tokyo, Moscow, and the Second Life virtual world. For more information, visit www.yurisnight.net.